Needing an old classic to soothe my brow from the news of political appointments, I found Edna Ferber’s Pulitzer prize winning novel, So Big. Although written in 1924, the story addresses the disparity still felt today as we juggle the meaning and price of success in the world. The adaptations of Edna Ferber’ work into movies and plays are as famous as her books: among them, Giant, Showboat, Stage Door, Dinner at Eight. The 1932 version of So Big, starring Barbara Stanwyck motivated me to find the book in the library. So Big is the story of Selina, the schoolmarm turned farmer who never lost her view of nature’s beauty from the moment she saw the plains outside of Chicago. I may have read it in school years ago, but this time, So Big brought its message and comfort to me with the reminder of what is really important in life. For those who would disregard music, art, and literature, and see them as inferior to hard science or practical engineering, Ferber’s story is a lesson in integrity. Although So Big focused on the spiritual and financial struggles of a farm wife, similarities to the author’s life lay the foundation. Ferber’s parents were Jewish shopkeepers who ran a general store in Kalamazoo, Michigan. Her mother took over the family business when her father began to go blind, just as Selina takes over and improves the farm after her husband Pervus dies. Within 283 pages, Ferber spans Selina’s life, aging her from a young girl who travels from place to place with her gambling father to a young schoolteacher and then wife of a farmer, then widow, and finally an old wrinkled woman on her farm. As she raises her son, Dirk – fondly called So Big – she tries to model the value of hard work and the appreciation of beauty, giving him education and opportunities she never had (remember this is the turn of the twentieth century). Ideas and being able to create are important – even if it takes years of work and pain. Sadly her reward is not a bright son curious and inventive, but a money-grubbing bond salesman who wears bespoke suits. Roelfe, the young boy she mentored when she was a schoolteacher, returns years later as a middle-aged artist still struggling but content with his work and his life – representing the strong contrast with her son who never has enough and never is happy, and, as a result, cannot get the one thing he really wants. Because despite what we hear lately, real life isn’t about who can yell the loudest or make the most money, but the satisfaction of a life well led. 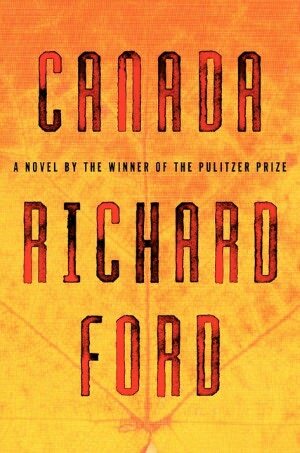 Richard Ford’s Canada unravels like a long spaghetti Western. Narrated by Dell Parsons, now a retired math teacher, recalling the turning point in his life – when his parents robbed a bank when he was fifteen years old, the geography of Canada does not appear until the second half of the book. By then, clearly, the plot is secondary. As Dell describes the details of his mismatched parents and the strangeness of his twin sister, their lives after Dell’s father retires from the Air Force take on a surreal simplicity. No one is satisfied: his mother yearns for a better life, preferably with another husband in another place; his father, the Alabama hustler, is always looking for easy street; his sister, Berner, in the throes of adolescent hormones, closes herself off. Ford concentrates on the minutia of their lives, so that you readily “accept and understand” them. Knowing the bank robbery has happened and the parents have been sent to jail – in the first page – you are still compelled to know more. To avoid the juvenile authorities, Dell’s mother has arranged for her friend Mildred to drive the children to Saskatchewan, Canada to live with Mildred’s brother, Arthur Remlinger. 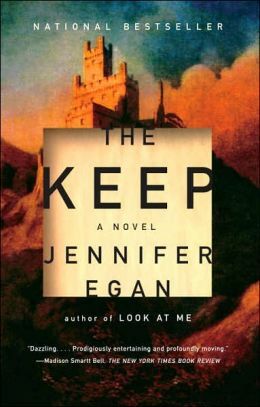 Berner runs away, but Dell escapes to Canada; the second half of the book creates a seemingly unrelated story to the first half with Dell trying to adjust to a new hard life, while trying to forget his old one. 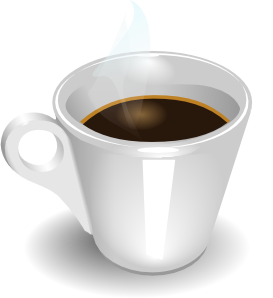 Eventually, Arthur, a fugitive himself, involves Dell in a bigger crime than bank robbery. Ford ends the narrative by reuniting Dell, a sixty-five year old Canadian math teacher, with his dying sister, startlingly contrasting the effect of their childhood trauma on their lives. 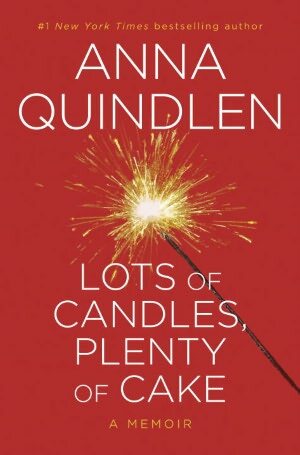 Memoirs are not my favorite genre and the last time I read Anna Quindlen, she scared me away with the desolation of her novel, Every Last One, but a good friend suggested that I read Quindlen’s memoir – Lots of Candles, Plenty of Cake. Not willing to wait out the long library reserve list, I escaped to a Barnes and Noble to nurse a double espresso while reading the red covered book with a flap that boasted “You wouldn’t believe how cheaply I can do a kitchen renovation” – sounded promising. So, Anna became my morning coffee companion. As she chatted about friends, school, religion, and children, I realized we have a lot in common. I squirted coffee out my nose laughing at her wanting to lick the brownie bowl without sharing with her small children. (One of my first published pieces was about licking the cake batter bowl.) Although I admired her handstands and one-arm pushups, she did not inspire me to do the same, but her admonition to “drive out fear” is advice worth keeping. When was the last time you did not try something because you were afraid of the outcome? After a while, I took Anna home with me and discovered her mother had made her pepper-onion-egg sandwiches just as mine had for me. I listened intently as her life changed when her mother became ill when Anna was 19, and suddenly realized the significance of her theme of loss in most of her novels. A safety net of small white lies can be the bedrock of a successful marriage. Not many get to choose how they will die, but considering the possibilities, a tree falling on the house on an otherwise quiet afternoon, probably has never made anyone’s list. 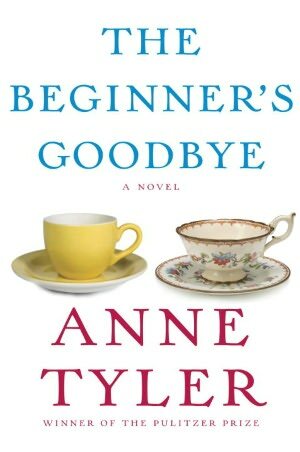 In Anne Tyler’s latest novel – The Beginner’s Goodbye – Dorothy dies at her computer when the huge oak leans into the sunroom, crushing her. Aaron, her husband, is in bed at the other side of the house, recovering from a cold. In the first few pages, Dorothy appears to have returned from the dead. With glimpses of Tyler’s hometown of Baltimore, the story settles on how Aaron, who walks with a limp from a childhood disease, is coping. Tyler immediately backtracks from Aaron’s first view of his wife’s ghost to Dorothy’s last day, the practical incidents that made up their unromantic married life, and the subsequent changes in Aaron’s life since her death. The narrative is slow and draining at times, as Aaron returns to his childhood home to heal. As others awkwardly try to help him – not knowing what to say and delivering casseroles that he throws away – Tyler hits a few familiar notes for anyone who has either lost someone from death, or tried to understand the person left behind. The title refers to Aaron’s work as editor in the family business – a vanity press for authors who pay to have their names printed on small guidebooks – Beginner’s books (one step up from the books for Dummies). The staff meetings and discussions over the boring drafts are surprisingly funny. Like many of Tyler’s heroes, Aaron is lovable for his flaws, and a man just waiting to be saved. Tyler does not disappoint her faithful readers, but I won’t spoil the story by telling you how it all resolves, other than to remind you that Tyler is an optimist. The not so subtle message of living life while you have it, is delivered. Having read most of Anne Tyler’s books, and having an affinity for the Baltimore area, I had hungrily anticipated this Pulitzer prize winner’s 19th book. At first, the thought of yet another book about a distraught widower (I’d finished Wolitzer’s An Available Man recently enough to have not forgotten it) seemed unbearable. However, although some of the obstacles to coping are, as expected, similar in both stories, the path to survival is much different in each book. Anne Tyler’s characters move in a dimension of familiarity – they will remind you of people you know, or maybe wish you didn’t. After finishing the book, I was sure I was going to run into Aaron somewhere, but I suppose he is still back in Baltimore.